The kitchen is currently in the dining room, as well as in other parts of the house. The kitchen itself is completely gutted and undergoing a face lift. We did as much demo as we could ourselves. Tearing down the drop ceiling in the kitchen exposed an interesting ceiling situation, which the contractors quickly covered up with drywall. Praise be to drywall. Praise be to removing fluorescent lighting. We had every intention of tearing out the corner cabinet, my sworn enemy, but the contractor needed it out a little quicker than our timeline budget for, so they got to yank that sucker out and discard of it forever. I'm guessing they were able to crack the cold ones we intended to crack when we finished destroying this piece. Praise be to no corner cabinets. When we set out to renovate the kitchen, we intended to do about 50% of it ourselves. Now, seeing how quickly the pros move, we're rethinking that percentage and letting them take the wheel on the bulk of the install. My mom, who is up for Under a House MVP this year, helped me build the cabinet frames last night, but the contractors are going to do the mounting. 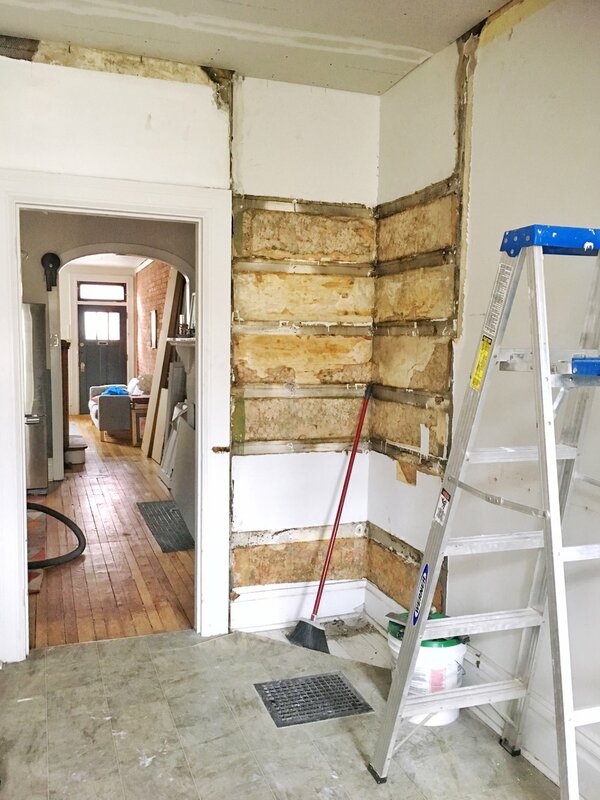 Honestly, I'm bummed that we can't leave our DIY stamp on this renovation save for a few elements, but knowing when to let things go is a big part of this renovation life. Getting everything done right and done quickly is the top priority and the contractors give me homework, like building cabinets and cleaning the subfloor, to make me feel a little less useless.